Kusal Perera has been replaced by Kusal Mendis after a reported hamstring injury ruled him out of the remainder of Sri Lanka's ODI series against England. 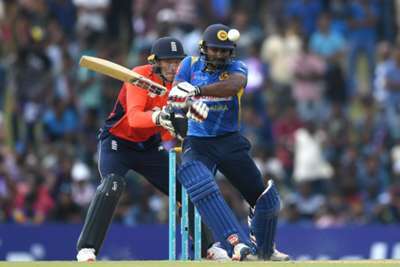 Batsman Perera sustained an injury when Sri Lanka were defeated by 31 runs on the Duckworth-Lewis-Stern method in the second 50-over match versus England in Dambulla. He has been replaced by Mendis, who was left out of the squad after failing to score as Sri Lanka were eliminated from the group stage of the Asia Cup in September. The start of the third ODI in Kandy on Wednesday was delayed by rain.